When you send money to someone over the Internet, you need a third party like banks which manages all your transactions. But in Bitcoin, you are doing transactions directly to another party over the Internet. This transaction takes place in the Bitcoin network. This network takes care of confirming and verifying that there was a true transfer of value between the two parties. This concept is called Disintermediated. The Disintermediated is the act of removing the middleman. It is one of the key components that make blockchain so valuable because it eliminates the unnecessary inefficiency that's involved with having to use a third party during the transfer of value between parties. 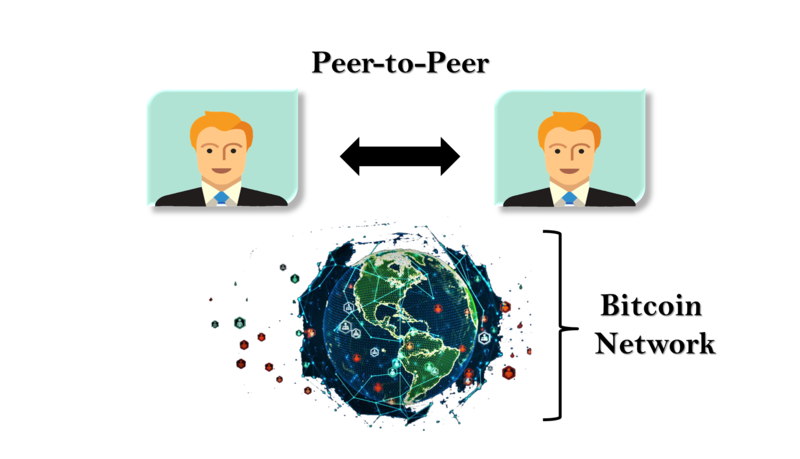 The entire bitcoin network runs on a network of thousands of distributed computers which shares the work. So, instead of having one centralized computer which handles the workload, you are distributing it across multiple computers. The distributed network is more reliable because there is no single point of failure. Here, the work is shared across thousands of computers which are all running and sharing the workload. Bitcoin is decentralized. It means that there is no central control, no central repository of data and no management in the middle that overseeing what Bitcoin does. As a result, there is no central point of failure. Bitcoin is Trustless because there is no need to have a third party such as a bank to certify and bring trust to the entire process of transaction. Instead of this, blockchain and Bitcoin process transactions enable the trust is done by Distributed Trustless Consensus in which all the nodes agree that a transaction took place.